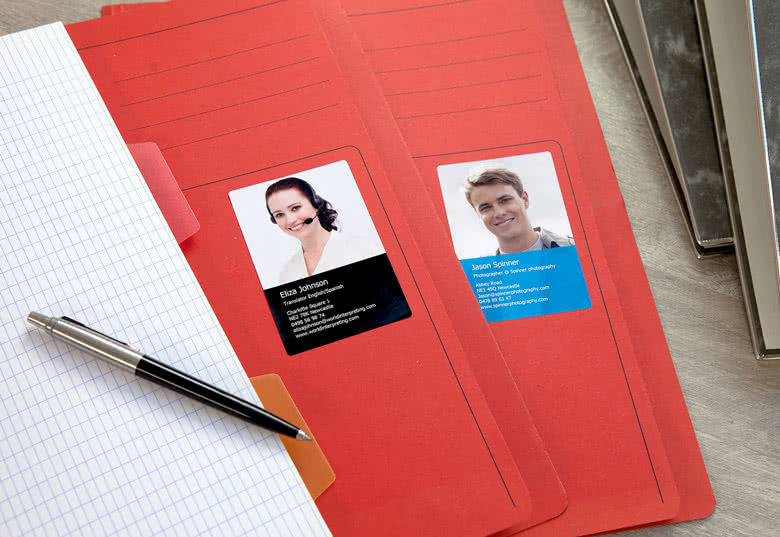 One of the most important tools for networking is a unique Business Card. These personalized Business Card Stickers most certainly are. They open the door for a conversation and make sure your potential business partner always carries along your contact details. Stick them on leaflets, packaging or other promotional material. 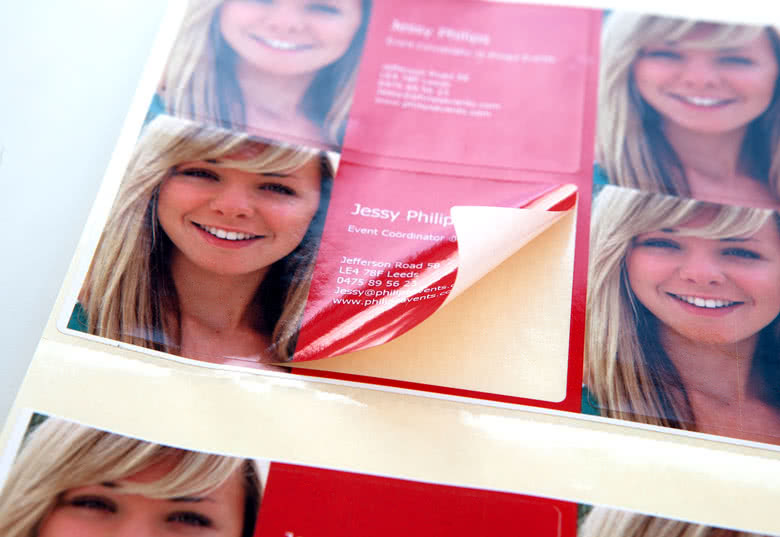 We offer you modern, attractive designed and easy to personalize Business Cards Stickers to make sure you and your business will be remembered. 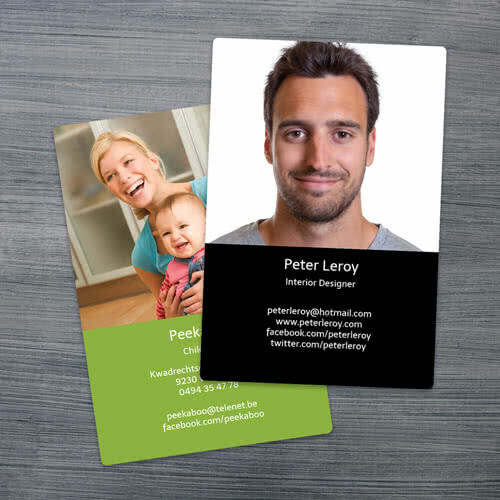 Create personalised Business Card Stickers with text and photo. 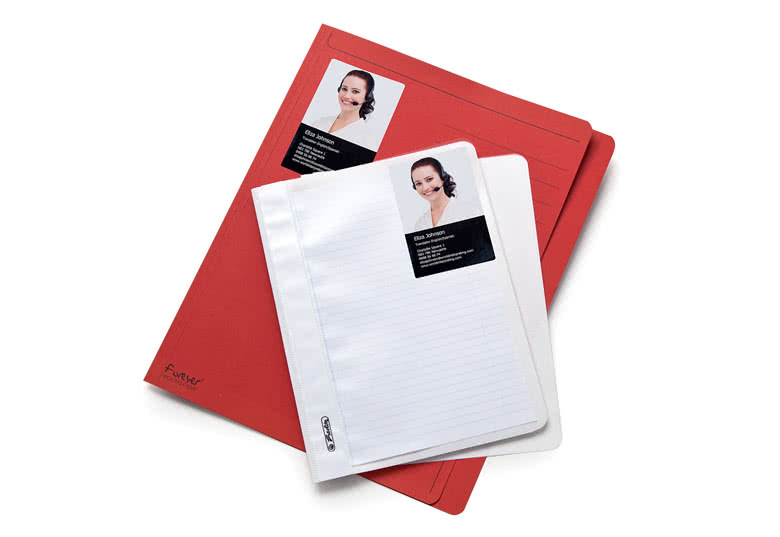 Perfect to put on envelopes and parcels to make it clear who you are.